The Philips OnSite HS1 Slim Carry Case is made up of semi-rigid materials and durable red Cordura fabric. 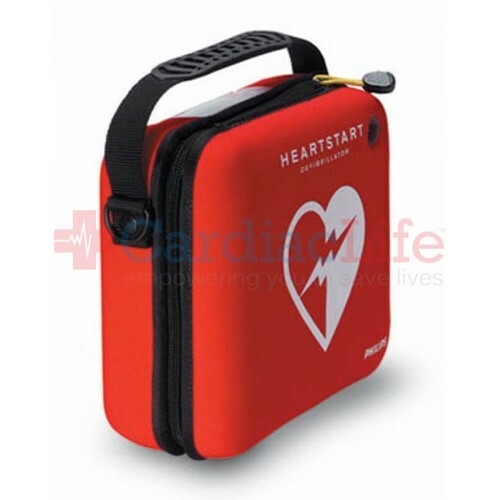 Each case comes with a window over the AED indicator that allows for an easy check of your AED status without needing to remove the machine from the case. 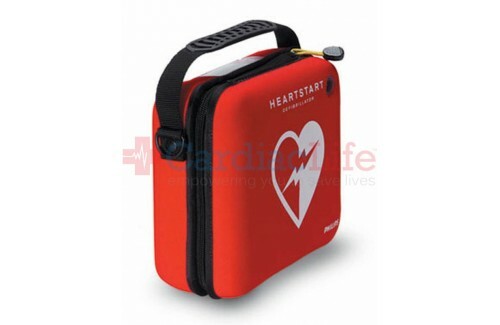 When you purchase a Philips HeartStart OnSite AED Slim Carry Case from Cardiac Life you'll receive Free Shipping. To be indemnified under the Good Samaritan Law, follow manufacturers guidelines. Use AEDSafetrack Program Management to document that your AED is compliant with local and state laws.